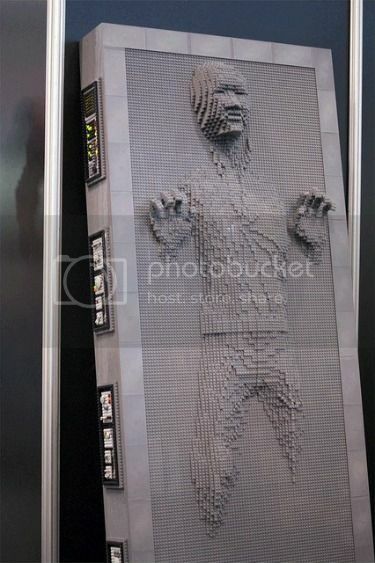 I’m not one to knock anyone’s artistic efforts*, but what’s Kojak doing in that slab of carbonite? Via epicponyz, who thinks it clearly looks more like Michael Rosenbaum, but agrees that “Kojak” made for the stronger punchline. * Except that I am.